Our faculty, staff and students are on the path to hope and promise — building resiliency in children, tackling older adults’ unique mental health needs, pioneering new approaches to depression treatment, revealing the biology of addiction, and evaluating the impact of what’s already been done. Discover their stories. By the age of 25 roughly 20 per cent of Canadians will develop a mental illness that could impact them for life. But what if we could change that by helping children become more resilient to things like stress, anxiety and depression? 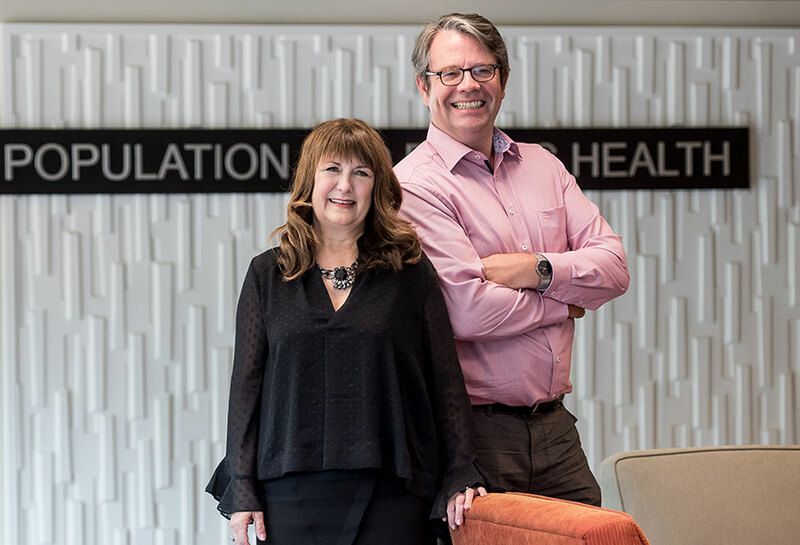 In their pilot project, Kimberly Schonert-Reichl, Director of UBC Faculty of Medicine's Human Early Learning Partnership, and Michael Kobor, Professor of Medical Genetics, are investigating the emotional and biological benefits of MindUP — a social-emotional learning (SEL) program for kids. The pilot study, which partnered-up with students and elementary schools in British Columbia, used epigenetics, the science of gene expression, to examine the impact of participating in the SEL program. “We know that early childhood experiences like family stress or trauma can literally get under the skin and create small chemical tags attached to the DNA that change how our genes respond to things like stress,” says Dr. Kobor, who collected saliva samples from children before and after completing the program to measure changes to children’s gene expression. Michael Kobor and Kimberly Schonert-Reichl partner-up with elementary schools across B.C. to explore the benefits of social-emotional learning. Findings for the pilot study are expected to be released next year, followed by a larger study. 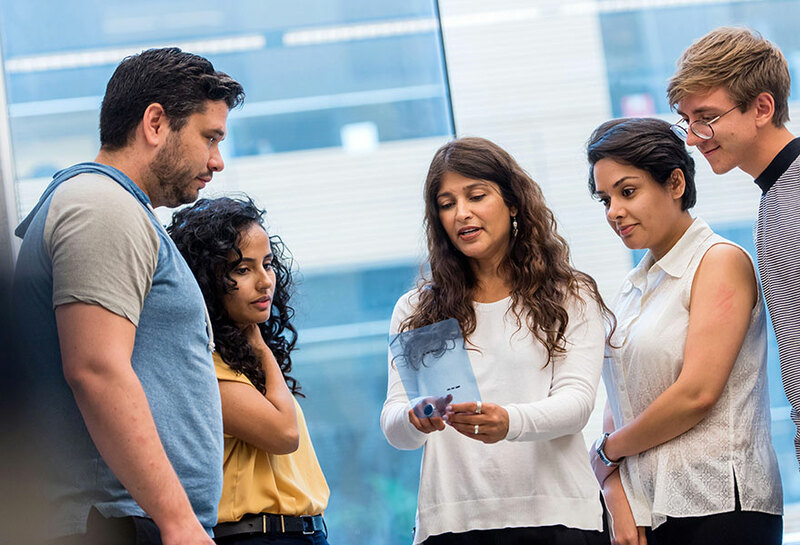 From enhanced skills education through to subspecialty training, discover 10 ways the UBC Faculty of Medicine is equipping current and future doctors and health professionals with the tools they need to address the rise of mental health and addictions in British Columbia. Giving frontline care providers tools to identify and treat substance use disorders. Learn more. Providing online support and mentorship for health care providers. Learn more. Equipping trainees with specialized skills in pain management and care. Learn more. Providing hands-on experience in addictions treatment and care. Learn more. Offering students the opportunity to explore social and medical aspects of addiction. Learn more. Offering specialized clinical training in addiction medicine. Learn more. 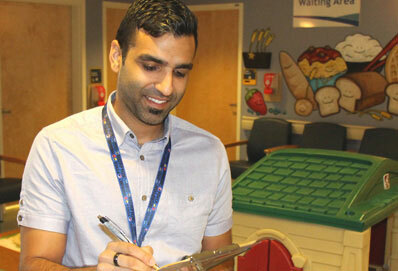 Karim Saleh is training in Prince George to support the mental health needs of children and youth. Delivering mentorship and research training in addiction medicine. Learn more. Providing family doctors with hands-on learning opportunities in addiction medicine. Learn more. Delivering specialized training to support the mental health needs of children and youth. Learn more. Providing specialized training to support the mental health needs of older adults. Learn more. For the first time in recorded history, seniors outnumber children in Canada – with British Columbia exceeding the national average of people aged 65 years and older. As the population continues to age, doctors are seeing an increased number of patients with a range of medical, mobility and psychological issues ranging from dementia to anxiety. To help serve the unique mental health needs of older adults, UBC’s Faculty of Medicine is training the next generation of doctors in subspecialties like geriatric psychiatry. 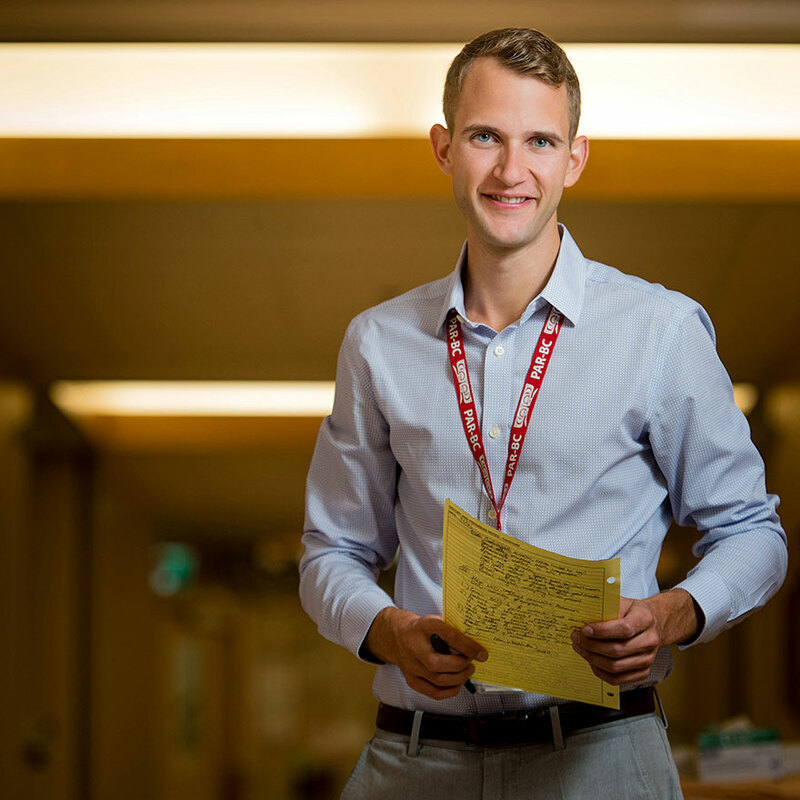 Launched in 2012, the two-year Geriatric Psychiatry Subspecialty Program exposes trainees, like Dr. Woldum, to a range of rotations in acute medical settings, rural locations, long-term care facilities, rehabilitation centres, home visitations and patient outreach. The program also places an emphasis on interdisciplinary care. Evan Woldum will continue to serve the mental health needs of older adults as a geriatric psychiatrist. And while Canada’s aging population poses a challenge for the healthcare system, Dr. Woldum says it also brings opportunity. Bright hues of blues, reds and yellows pop against the neutral background in the office of Fidel Vila-Rodriguez, an assistant professor of Psychiatry at the UBC Faculty of Medicine. The array of colours are brain images of patients Dr. Vila-Rodriguez treated for severe depression as part of a study examining whether gentle electrical stimulation can help treat the disorder and offer treatment options beyond anti-depressants and talk therapy. Roughly one in four Canadians lives with some degree of depression. Some get better with lifestyle changes or medication - others do not. 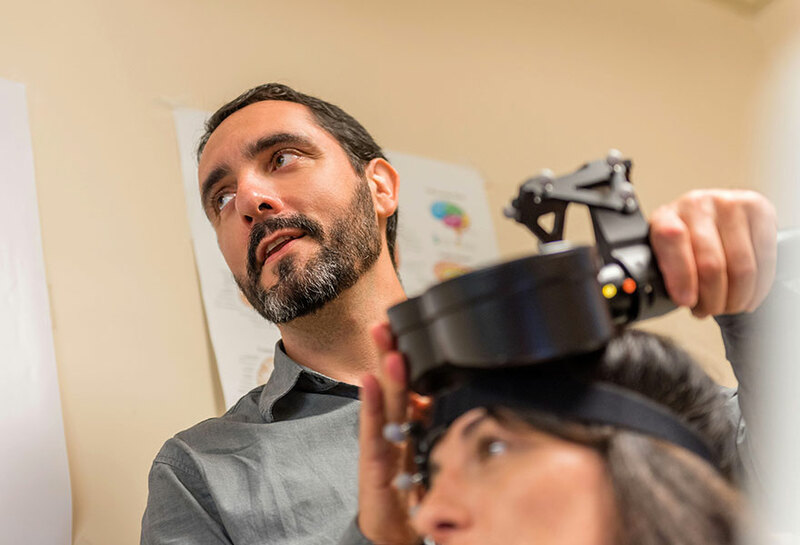 Dr. Vila-Rodriguez has been exploring non-invasive therapies like repetitive transcranial magnetic stimulation (rTMS), to stimulate specific areas of the brain affected by depression. Research by Fidel Vila-Rodriguez explores non-invasive therapies to treat severe depression. The study also examines brain activity before and after treatment to gain more insight into the mechanics of a person’s depression and treatment outcome. Addiction, when stripped of its cultural baggage, is a form of learning – a persistent strengthening of certain synapses between brain cells. By examining that process at the cellular level, Shernaz Bamji has demonstrated why some people may be more susceptible to addiction than others. “Addiction is rooted in our biology and our biochemistry,” says Dr. Bamji, a professor in the Department of Cellular and Physiological Sciences in the UBC Faculty of Medicine, who genetically engineered mice with higher levels of cadherin, a protein that helps cells bind together. Dr. Bamji expected that the extra cadherin would strengthen synapses, making the mice more easily addicted to cocaine. Instead, it hard-wired their synapses in place, preventing the drug’s pleasurable memory from taking hold – essentially stopping the mice from “learning” the addiction and enabling them to resist cocaine’s lure. So why not create a drug that boosts production of cadherin? Research by Shernaz Bamji and her team looks at the biology of addiction. The study, however, illuminates why people with substance use disorders tend to have more genetic mutations associated with cadherin. That, in turn, could lead to greater confidence in predicting who is more vulnerable to addiction – and could influence decisions about the need for prevention or early intervention. British Columbia is in the grips of a public health emergency. To help stem the tide, the Government of B.C. has implemented new measures. Whether it’s training communities on how to prevent and respond to overdoses, distributing free naloxone kits, or lifting restrictions for prescribing treatments, all of these new measures aim to save lives. But what effect have these actions had? 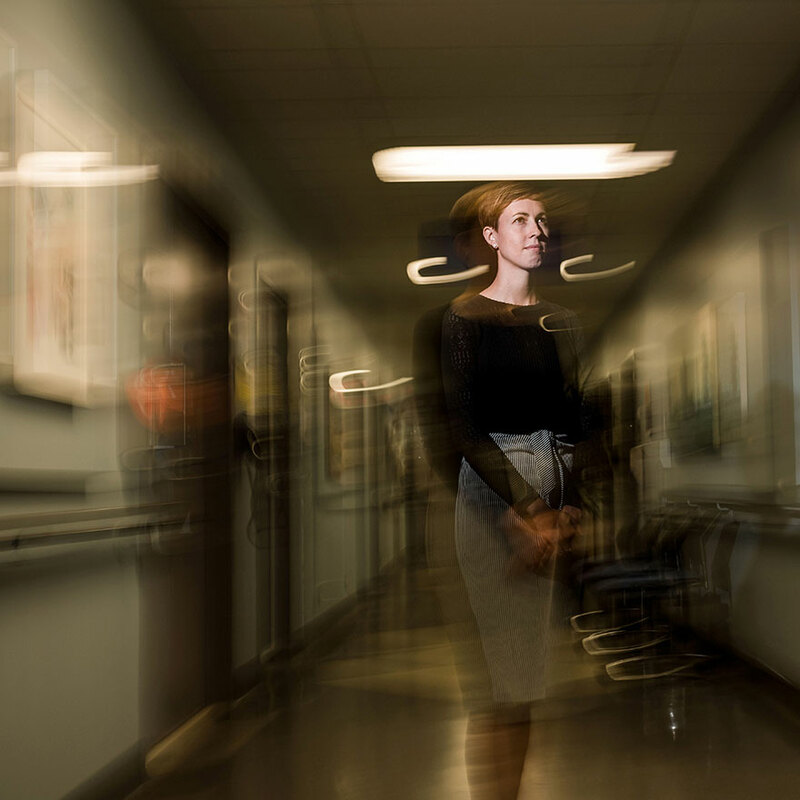 Nadia Fairbairn, assistant professor at UBC’s Department of Medicine and Director of the Canada Addiction Medicine Research Fellowship with the BC Centre on Substance Use (BCCSU), is on the path to find out. She’s leading a five-year study exploring the impact of these changes in preventing overdoses. The study will also evaluate how changes in prescribing patterns and policy impact people’s illicit drug practices, and whether it increases their risk for fentanyl exposure. Dr. Fairbairn believes the long-term study will provide crucial information to answer these questions and help guide policy moving forward. Nadia Fairbairn is leading a five-year study to explore the impact of policy changes in preventing overdose.